Justine PETERSEN’s Credit Building Training is designed for those organizations seeking to grow their financial education or capability programs to the next level by coupling credit building with safe and affordable credit products. Our training is based on our own extensive experience providing credit building products and services and our demonstrated track record of working with nonprofit organizations to deliver financial products. The Credit Building training and certification program will assess, train, certify and inspire counselors in the JP Method of “Credit Building as Asset Building” training. Training includes a blend of online live and recorded training sessions and self-paced modules that coaches and counselors work through on our JP Training Center to develop and test their credit building expertise. An in-depth 1.5 day in-person training is also available to partners that have a group of counselors or wish to provide a more hands-on training to their financial coaches/counselors. 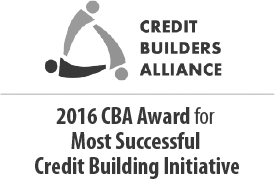 Learn more about becoming a partner in Credit Building Nation.